Having a sharpening stone close at hand is often the key to having a sharp tool. These Hard Arkansas stones are a fine stone. The stones are available in two sizes, approximately 3" x 1" x 1/4" and approximately 4" x 1" x 1/2". The leather carrying case keeps your stones protected and ready to use. These Hard Arkansas Pocket Stones include a Leather Pouch. 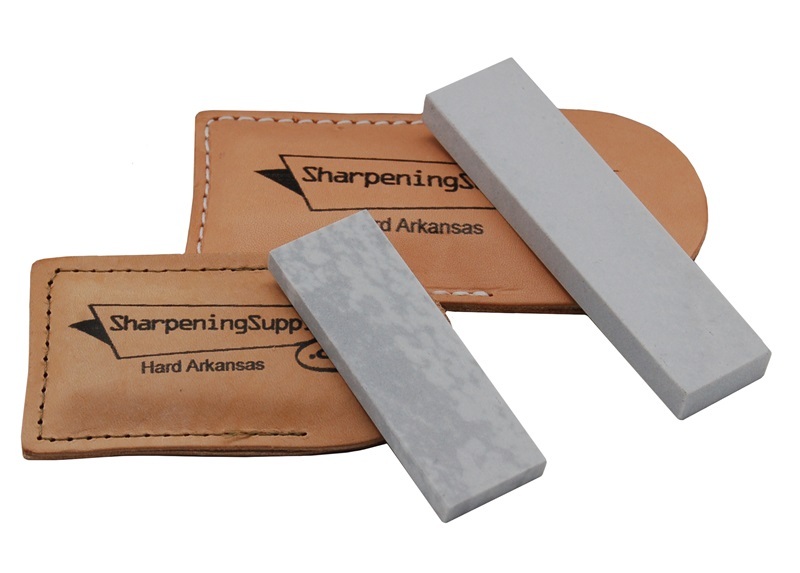 Hard Arkansas Pocket Stones without leather pouches are also available.